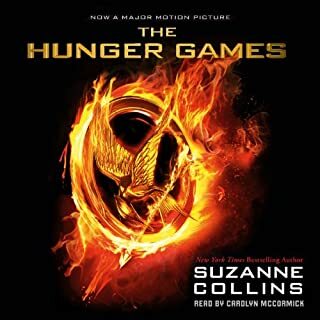 listened to this on the way back from Disney - usually my wife and kids aren't into audio books - but this one captured their interest. 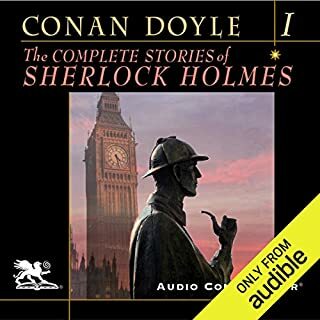 I've never read Sherlock Holmes so this was a treat for me. On to volume 2! If you are a regular reader of Jonah Goldberg's work for National Review (as I am), there isn't a lot in here that you've never heard before. But it is all collected in one place and nicely bound up with a bow. 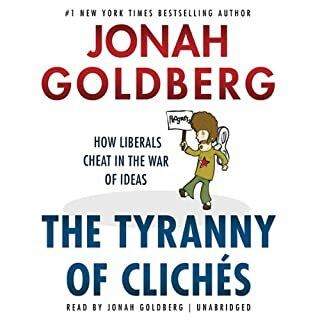 I wouldn't call it an anti-liberal screed, which some books by conservative authors have an unfortunate tendency to become, so I feel comfortable recommending it to non-conservatives as well as true believers. If you're a liberal and take this author's comments to heart, even if they don't convert you to The Right Side of History (TM) you'll at least be able to give a better argument than just spouting a cliche and thinking you've won the College Bowl of argumentation. As a narrator, Jonah did a good job, with only one problem - when he's giving an aside, he drops his voice to a nearly inaudible murmur - so when driving, those parts get lost. Fix that and I'd give him 5 stars for narration. 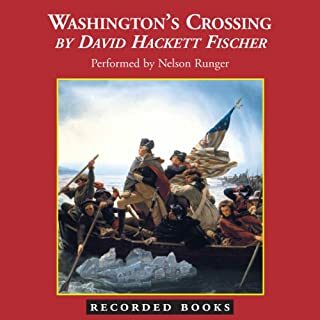 One of my very favorite audio books (and I've listened to over 200), this is an amazingly vivid portrayal of a very critical time in our nation's history. The hardships endured by those early soldiers were truly extraordinary. It was very hard to ever turn off the car on this one. I could easily listen to it in one sitting. You simply must listen to this one if you have any interest at all in the Revolutionary War. 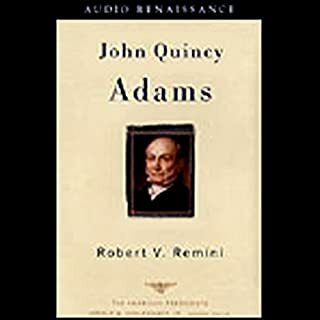 John Quincy Adams did not have one of the great Presidencies, eventually giving way to Andrew Jackson. But he lived an extraordinary life, from witnessing the Battle of Bunker Hill as a child, to serving as ambassador to Russia, to time as Secretary of State and later President, then back to the US House of Representatives (one of very few Presidents to ever return to Congress after leaving the White House), to his famous representation of the slaves who revolted on the Amistad. This is a medium length introduction to this former President and does a good job of covering all the bases. 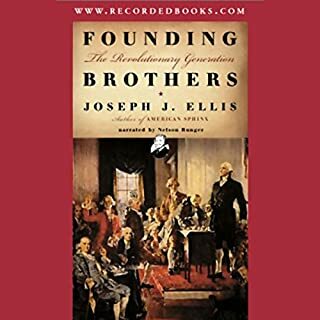 A New York Times best seller, Founding Brothers is an engrossing work of nonfiction from National Book Award and Pulitzer Prize winner Joseph J. Ellis. It is a book that uncovers the substance behind many of our most cherished historical tales. Here are six fascinating, well-researched chapters involving such icons as George Washington, Alexander Hamilton, Thomas Jefferson, and James Madison. I found the first vignette, regarding the duel between Hamilton and Burr, to be absolutely riveting. Likewise the last vignette, on the friendship that Adams and Jefferson eventually developed once they got over despising each other over the election of 1800, was very moving. The other four stories are also interesting in their own right, but didn?? ?t hold the same intensity for me. But the whole thing is well written and well narrated. You won?? ?t regret listening to this one. For me, the thing that made the first book so tough to take was the seeming passivity of the oppressed districts in accepting their totally unacceptable situation. By showing that there was at least the flickering of rebellion, this book at least gave some hope for a better future, even if there would be an obvious and devastating cost to be paid before reaching that better future. Just like the first book, this one is fast paced and full of unexpected twists and turns. It continues to offer many challenging themes and do so in a way that tries to be moral, which I greatly appreciate. There were plenty of times it was hard to turn off the car. Very well done. 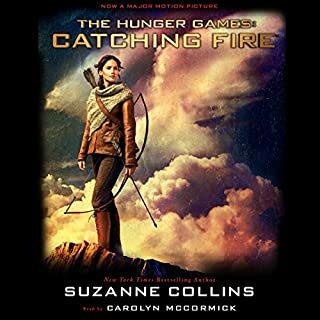 I had to either read or listen to this in preparation for taking my kids to the midnight premier (the first midnight premier I or either of them ever attended). They were beside themselves with anticipation heading into the opening of the movie. As a parent, the premise of the story is pretty hard to get past ??? the idea of children being pointlessly sacrificed is really hard to take. I kept wanting to scream at the people ?? ?Why don?? ?t you rebel! We are Americans! We would never acquiesce to this!??? But it was one thing for us to revolt against Jolly King George, and quite another to throw off a modern totalitarian state ??? think of being a rebel in North Korea, where any protest not only puts you in the gulag, but your entire family, and you can better understand how a people might find a way to endure this difficult life as the least bad choice available to them. One of the most interesting aspects of the trilogy is that it is in many ways apolitical ??? you can find themes that will both please and trouble both liberals and conservatives. And doing that in a book that holds the attention of teenagers is uncommon indeed. I found the narrator to be quite effective. My one daughter, who only listened to snippets with me in the car, did not like her at all though. So your mileage may vary there. Of course, since I had never read the book and she had, I had not developed any pre-conceived idea of how the narrator "should" sound. This abridgement is a very good listen, and holds your interest throughout. I have not read or listened to the full version ??? 55+ hours is more than I can usually devote to one book. 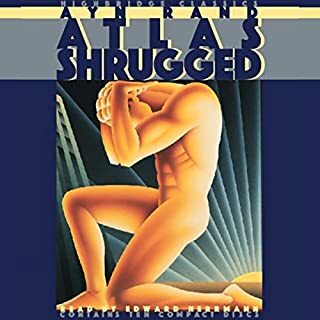 Ayn Rand makes many valid points, but unfortunately has a love for the straw man and painting people with extreme caricature who do not live up to her ideal. While I heartily recommend this to anyone, if for no other reason than to gain familiarity with what is a very popular book, I would certainly not call it life-changing, nor would I ever want to see a society built exclusively on Randian principles. Have you listened to any of Edward Herrmann?? ?s other performances before? How does this one compare? 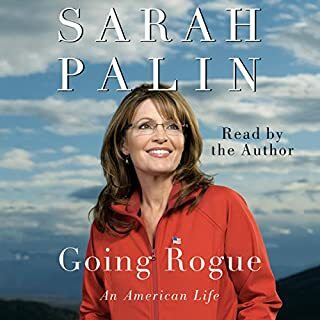 I'm a moderate Republican (one of the last five in America), and I've been very impressed with Sarah Palin ever since her nomination as VP (well, except for the Katie Couric interview, which she herself admits went poorly). If you listen to this book with an open mind, I don't see how you can help liking her personally. Maybe it won't convince you to vote for her, but it should put to rest the more silly accusations leveled against her. Highlights of the book include her touching story of Trig's birth, and background info on the campaign (and I find her account of the campaign far more credible than those of her accusers, if for no other reason than she goes on the record, while the accusers all hide behind anonymity). Focuses heavily on Washington and slavery, and to a much less extent on other aspects of his life. If this is your first biography of Washington, you would probably also benefit from a more conventional bio of him. 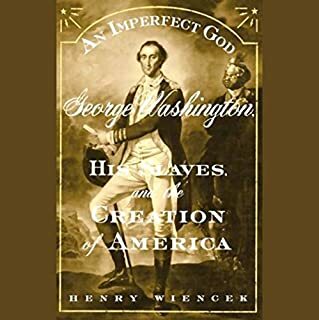 But if you have already read other biographies of Washington, you still need to read this book for a fascinating and balanced look at the complexities of slavery, blacks serving (with distinction) in the Continental Army, and the idealism (or lack thereof) of many of our founding fathers.